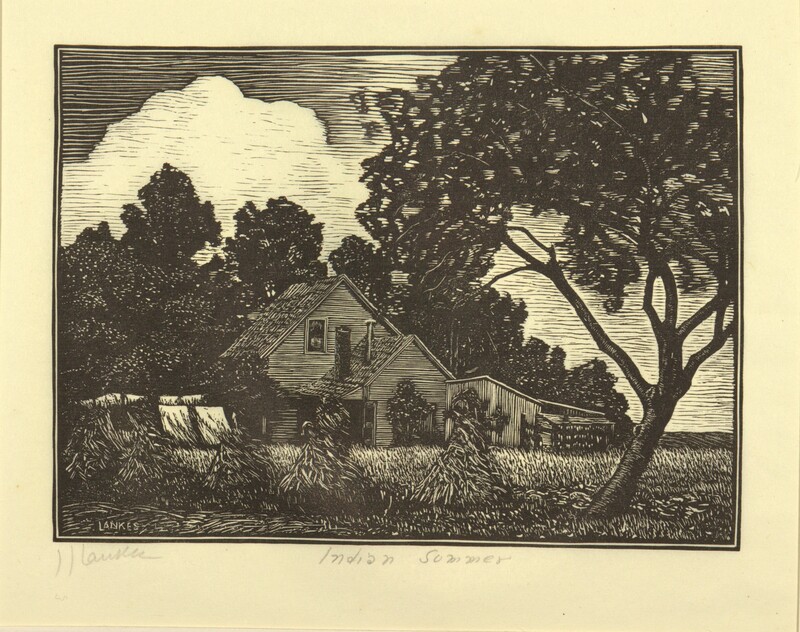 Original woodcut print titled "Indian Summer". 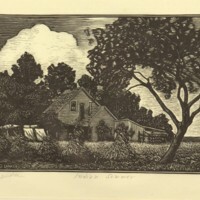 The print depicts a large tree near a small house. Part of the Strishock Collection donated in 1968. American Catholic History Research Center and University Archives, Catholic University of America. Reproduction and copyright information regarding this document is available from the American Catholic History Research Center and University Archives. Screen Print (serigraph), pink, blue, black are main colors. 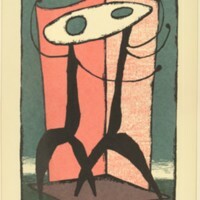 "The Sisters", ed. 4/25. Lankes, Julius J., “Indian Summer,” Digital Exhibits, accessed April 23, 2019, https://cuexhibits.wrlc.org/items/show/22. These sites were created by the staff of the American Catholic History Research Center and University Archives and the Electronic Services staff of the University Libraries. Let us know what you think: Contact us!